If you wish to participate in this program, you will need to submit a separate quote for any of the properties for the Total Cost of all work needed for proper connection to the sanitary sewer and abandonment of the existing HSTS. This would include connection of all wastewater sources on the property being correctly plumbed into the building sewer/drain, disconnection and re-routing of any clear water from the building sewer/drain, connection of the building sewer to the sanitary sewer, tapping the sanitary sewer if necessary, any needed electrical service upgrade if required to accommodate the sewer connection, any other eligible and justified items, finished grading, seed and straw, and proper abandonment of the existing HSTS components. To be considered, quotes must be received by the date specified in each attachment above. Quotes will be reviewed by a team of individuals and be awarded to the qualified applicant based on the lowest and best bid and will be depended upon bidder’s availability to complete the requested work in a timely fashion. Awarded contracts are strictly between HCPH and the selected contractor. Any attempt to enter into separate contract, addendum, modification, invoice or other contractual agreement, except for the matching percentage to be paid directly by the owner to the contractor, without prior approval by HCPH may disqualify the bidder. Contractor needs to be a licensed sewer tapper with the Metropolitan Sewer District (MSD) of Greater Cincinnati. 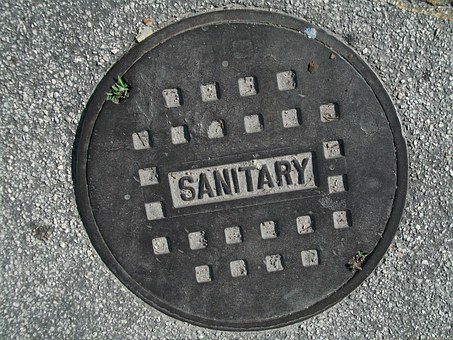 Sanitary sewer connection will require obtaining a Tap Permit with MSD, meeting all necessary permit requirements, and any applicable Tap-in fees. Septic system abandonment will require obtaining a septic system abandonment permit from Hamilton County Public Health and associated fees. Plumbing rerouting or corrections will require obtaining necessary plumbing permit(s) with Hamilton County Public Health and associated fees. A site plan showing the proposed building sewer, tap location, and connection to the home. If selected to complete these services, you will be contacted directly by HCPH. At that time, you will be required to sign a site specific version of the attached contract and submit all required contract paperwork to HCPH. Once verified, a Notice to Proceed will be issued by HCPH allowing the selected contractor to begin the installation. All work must be completed (including final inspections) by the date specified in each attachment above and following receipt of the Notice to Proceed. It should be noted that any unexpected changes and/or alterations needed during the performance of work, requires a Contract Change Order (see Contract – Attachment B). Payment for any changed or extra services will not occur without pre-approval using this method. Also note that the contract has special insurance and bid bonding/financial guarantee requirements that must be followed. For the WPCLF portion of the payment to occur, all permitted work must be approved and HCPH must approve the final sanitary sewer connection, septic system abandonment, and any plumbing corrections. After which, the contractor must submit to HCPH an invoice, by the date specified in each attachment above, to document the incurred costs for the services along with the necessary approval certificates issued by MSD and HCPH. Upon verification of this information, HCPH will send a request to Ohio EPA for reimbursement of the eligible system repair/replacement costs. After confirmation by Ohio EPA, the Ohio Water Development Authority will distribute the funding to HCPH, who will then pay the contractor the approved amount. Any portion of the approved bid amount not covered by the WPCLF must be paid by directly by the property owner to the contractor. If you have any other questions concerning this program, please feel free to contact me directly at 946-7866.